You are invited to try one of the world's oldest sports and enhance their appreciation of these magnificent birds. 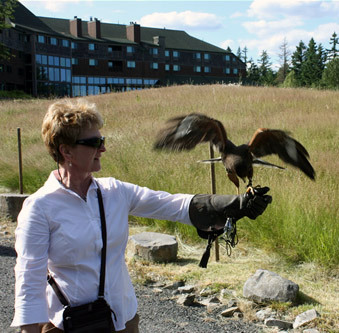 During a session, guests will learn to handle and fly hawks. Introductory lessons and "hawk walks" are offered to give you the opportunity to appreciate these amazing animals.